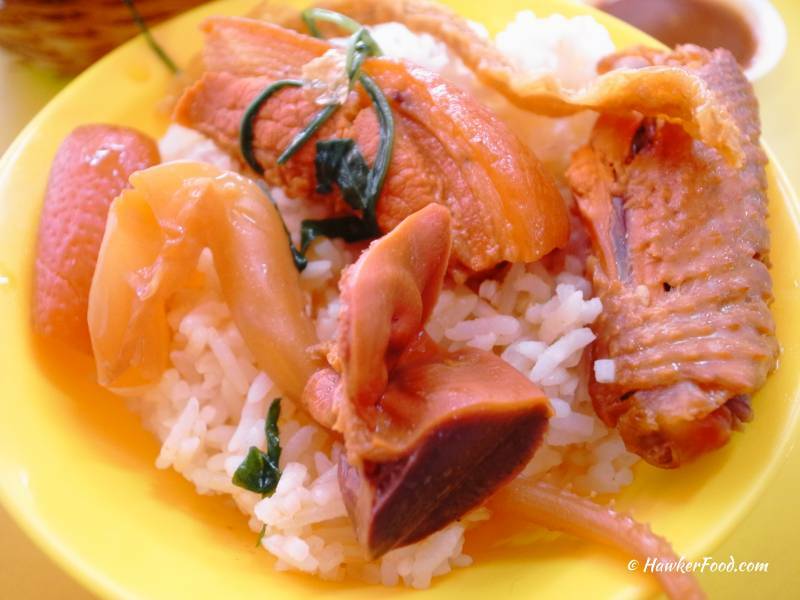 “Loh Mei”, Lao Beng first had this dish when I was a teenager studying in a local polytechnic during the late 90s. 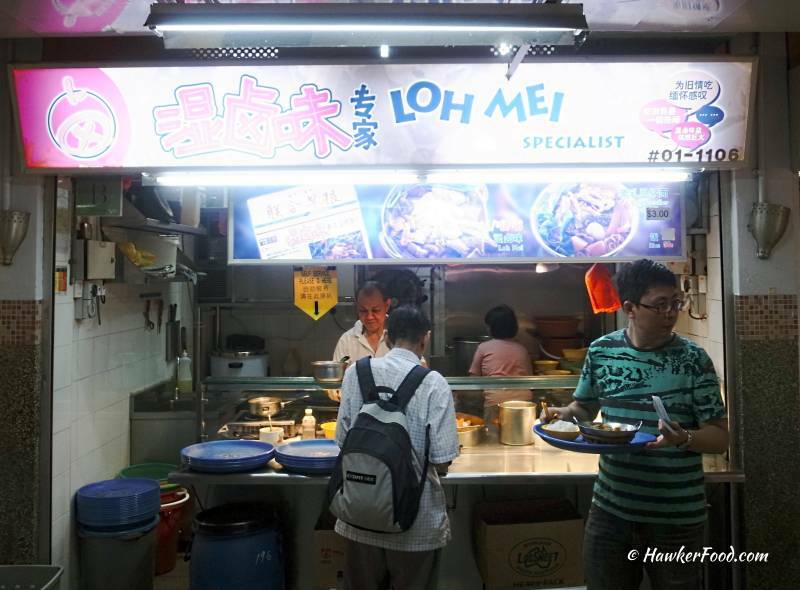 Fast forward to year 2015, this stall “Loh Mei Specialist” located at People’s Park Food Centre in Chinatown continues to serve this unique dish. 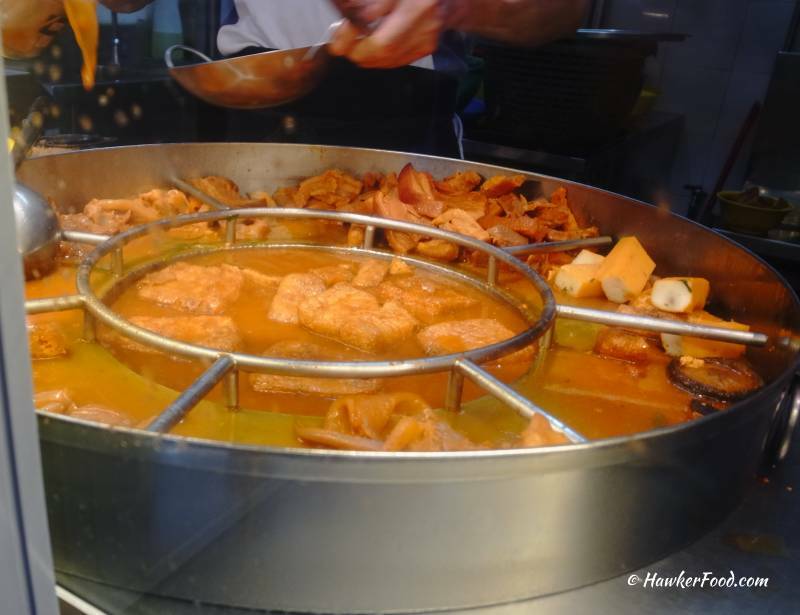 It is probably the only stall that sells this unique hawker food in Singapore. So what exactly is Loh Mei? 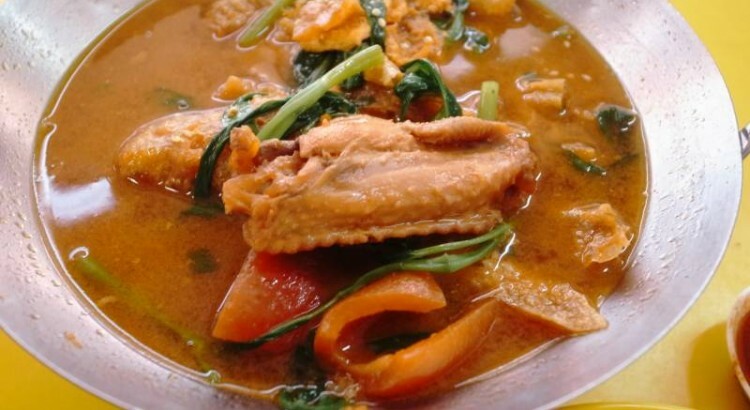 This dish comprises of chicken wings, pork belly, pig offal, cuttlefish, tau pok (flat, fried bean curd), mushrooms and vegetables stewed in fermented bean curd (腐乳) gravy. Old school people like me will definitely know what are fermented bean curd (腐乳) cubes and I especially like to eat it with porridge. The prices for Loh Mei range between $4-$6. I decided to order the standard $4 portion and rice. There is also a noodle version but rice is the recommended staple food here as the tasty fermented bean curd gravy can be drenched onto the rice. Let the rice absorb the goodness and you can slowly enjoy it with the rest of the ingredients. The various ingredients were fished out for a clearer picture. The taste in 2015 is definitely different from the time I last had it in the late 90s. 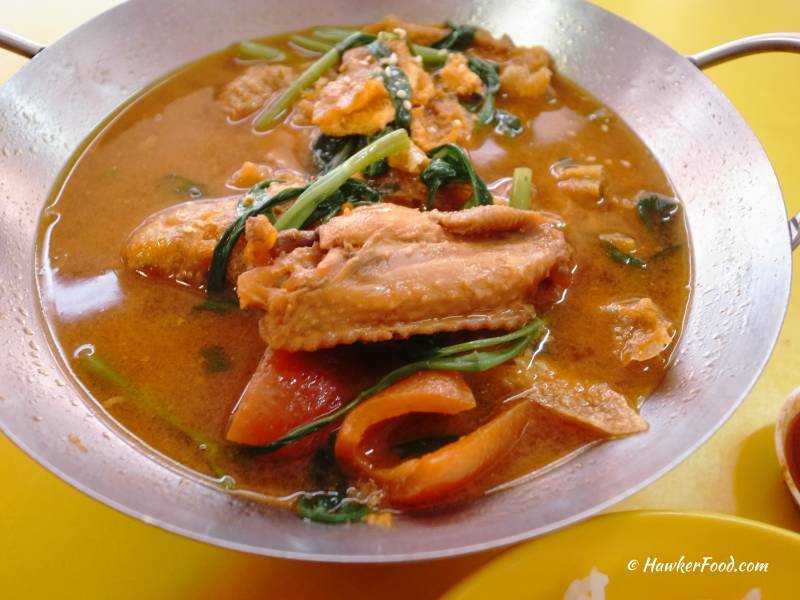 I remembered back then the gravy was much thicker and had a stronger fermented bean curd flavour. Now, it tastes lighter which I believe is probably toned down by the owner as not many people like the strong taste of fermented bean curd. Spoonfuls of gravy were scooped and splashed onto the steamed rice and it tasted great together with the easy to chew ingredients. I wonder if there will ever be another stall selling such unique hawker food should the owner decide to call it a day. So, if you have not tried this exquisite dish before, please pay a visit to their stall and give it a go.